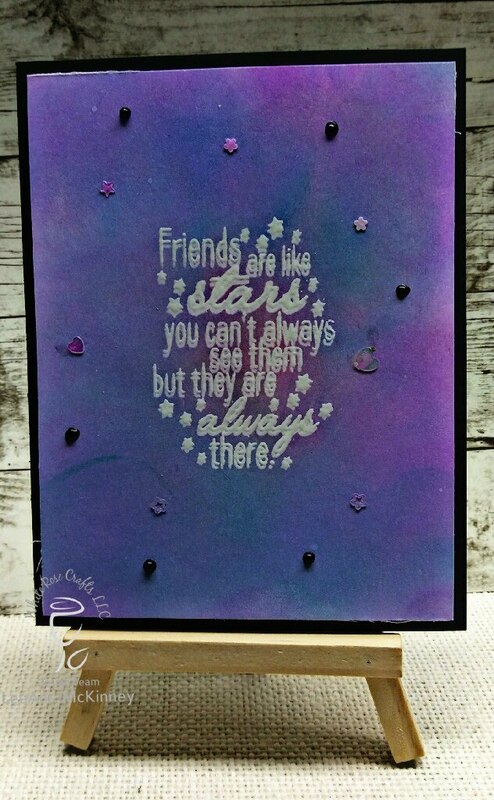 Greetings friends and fellow crafters, LeeAnn here with my inky project using product from White Rose Crafts. I double stamped and heat embossed this image on watercolor paper. I then used various colors of Distress Oxides to blend around to create the background I was happy with. Once that was finished I added some Ebony Black Nuvo Drops and Stars from the Sparkle Blends Fairy Dust collection to finish off my project.